The Bridge Rug by Serge Lesage combines the elegance of nature with a contemporary aesthetic. The abstract pattern has a painterly effect that utilises a striking use of colour. The anthracite and rust tones intermingle to light up the centre areas of the design. Inspired by volcanic rock, the unique colour palette will bring warmth and texture to any home interior. 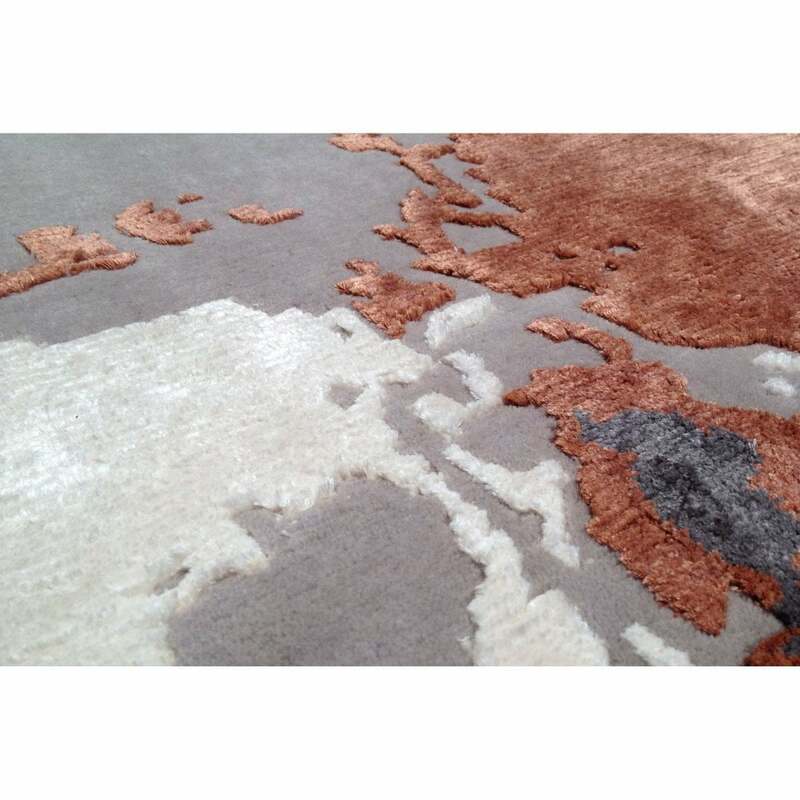 Hand-knotted with luxurious New Zealand wool and viscose, the Bridge Rug is a must-have accessory for any design lover. Available in both standard and bespoke sizes, make an enquiry for more information.